Want a discount? Become a member by purchasing All Access Subscription, All Access Subscription for Staff Teams, Basic Subscription, Premium Subscription or Premium Subscription for Staff Teams, or log in if you are a member. 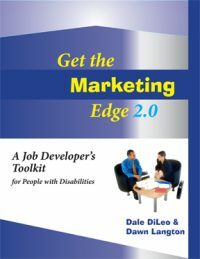 Good job development for those with disabilities requires good marketing. But agencies that serve individual with disabilities often send competing messages to their stakeholders regarding their services and the capabilities of the individuals they serve. 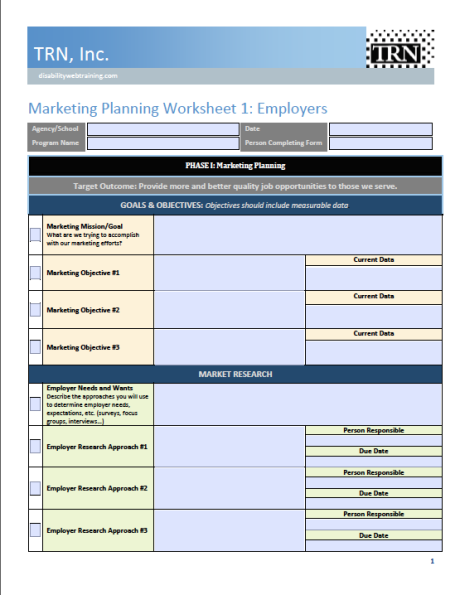 Programs that provide vocational services need a clear and concise marketing approach that communicates their benefits to their primary audience, employers. This requires basic marketing planning for employer engagement. 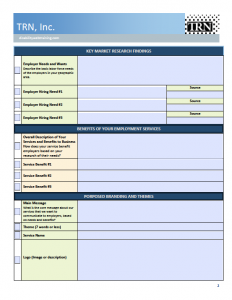 This form takes you through the initial steps of developing a brand, theme, logo, program name, and other representations of good employer engagement. Open the e-guide on your tablet, smart phone, or computer, (or print out a paper version), and complete each item. 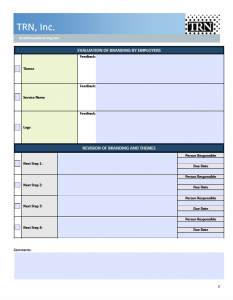 Once you have completed the steps, you can plan your next steps and the strategies for achieving them. 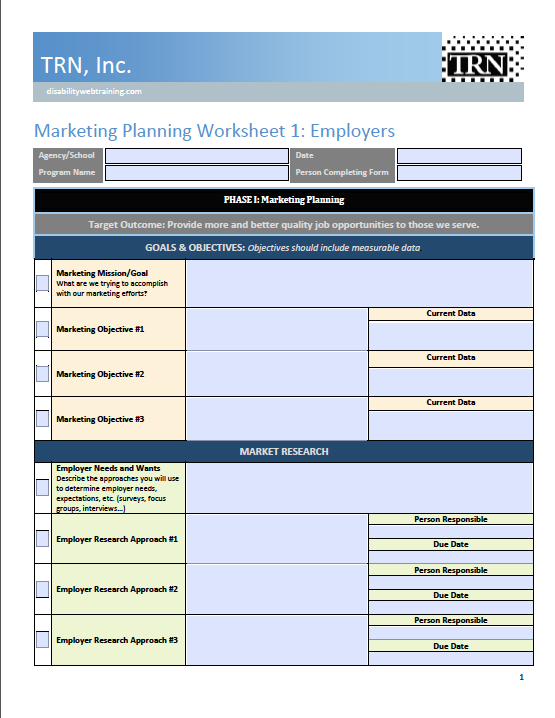 A follow-up planning guide on developing a Marketing Communication Plan for Employers will take you to the next level of your job development. Access opens immediately on payment and lasts seven days per course, ending at time of purchase. Each course produces a coded certificate for the individual user on passing the post-test. Courses are purchased for individual use. No refunds or extensions are provided. 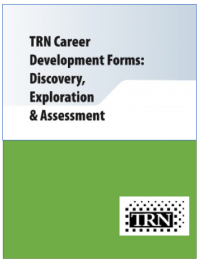 Planning Guides, Assessments, Resumes, and certain E-books should be purchased based on program usage (single use, up to 5 uses, up to 10, or unlimited for a program site). See LICENSE AGREEMENT for details. 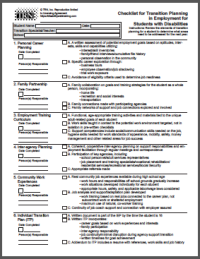 VIEW a VIDEO on how E-Planning Guides can help your school or agency improve services. Subscriptions are 6-month recurring memberships that offer substantial discounts or free access to various courses and products. There are different levels, BASIC, PREMIUM, and ALL ACCESS. You can purchase PREMIUM and ALL ACCESS for yourself or for groups of staff as a "team." A team allows the team owner to name a team and enter team individuals as members for access as needed up to the number of seats you buy. Learn more about subscriptions.